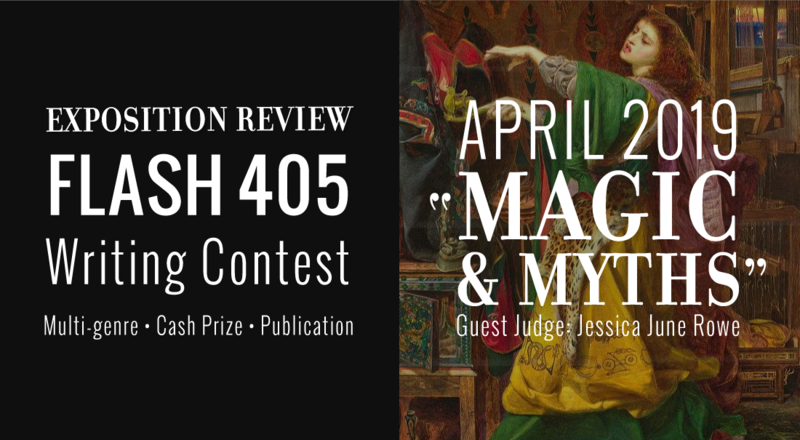 After attending AWP 2019 in Portland, the inspiration is flowing for us at Expo, so what better time to kick off another Flash 405 contest! Flash 405 is Exposition Review’s multi-genre short form writing competition, awarding cash prizes and online publication to the winners. You can read the full rules and find past contests and winners here. Entries for this next round will be accepted from April 4-May 5, 2019 via Submittable. Read on to learn more about this month’s judge, Expo’s co-Editor-in-Chief Jessica June Rowe, and her chosen theme!